If licenses are still available then you have the option here to enter a new license or assign an existing license. Available licenses are licenses that have not been assigned to a portal or can still be distributed to the current portal. Opens a dialog when you Click on "Next" where you can enter a new license key. 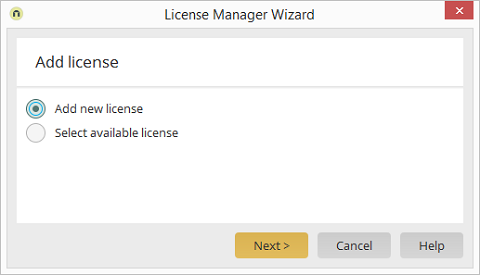 Opens a dialog when you Click on "Next" where you can select a license that is already available.